Little Free Library is a national movement aimed at promoting literacy within communities. Each of our little free libraries starts out filled with books provided by the Bedford Public Library that are free to take and to keep for as long as you please with no late fees. 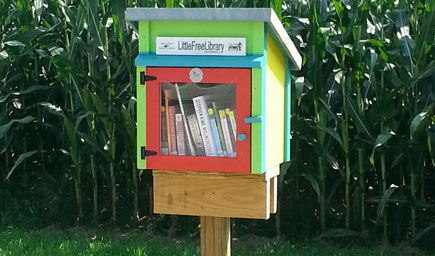 These little free libraries run on book donations. Feel free to donate your used books to a little free library in the community and to return the books you borrowed when you are done.